Fasting has been a huge part of my health success! 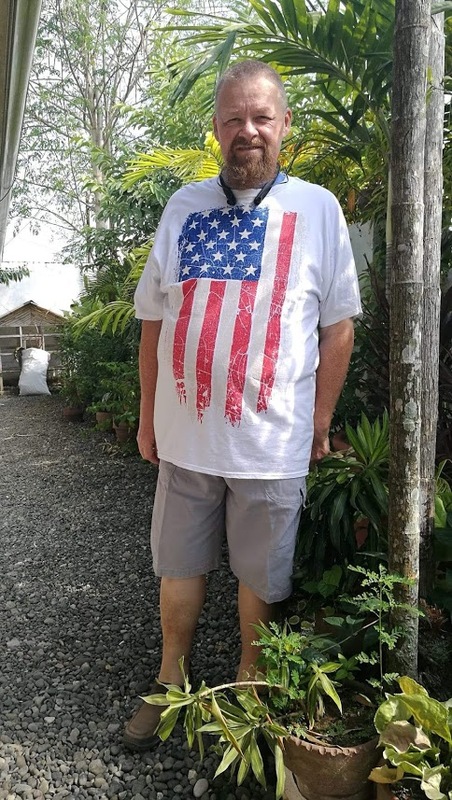 Bob at 220 pounds after fasting. I am now 210 lb! I decided I could either die or do something about my problem. That is when I decided to get into a Ketogenic Diet. After a time, I found out about EF & IF, and how it went hand in hand with keto. When I first heard about Fasting, though, I thought it would be impossible for me to do. I had never fasted in my life. I had probably never gone more than 12 hours or so without eating, and that was only when I was sleeping. But, I decided to give it a shot. Should I fear trying a Fast? One of the things that concerned me, on top of whether I could even do fasting, was whether I should be scared of fasting. Back on February 14, 2017, I started a program of Intermittent Fasting, in conjunction with my Ketogenic diet. At that time, I would fast 19 hours per day, and I would eat two meals between 2 PM and 7 PM each day. I did not “gorge out” or go wild with eating, but I did eat as much as I wanted. Truth is the amount eaten was actually less than I would have eaten during those meals regularly, just because I did not want more. After a week or two, I found myself enjoying the Intermittent Fasting, and I decided to increase the Fasting to 23 hours per day, and I would just eat dinner between 6 PM and 7 PM, the rest of the day I would fast. During the day on March 15, I decided that I wanted to do a 10 day fast with no meals at all during those days. So, I went for it. I did not eat dinner that night, and I was able to continue it for 10 days. During this time, I got a lot of very positive feedback from people that I know online. I also got a good amount of negative feedback! Several people told me that I was crazy. I was going to the extreme. Some said I had lost my mind. “Bob, you’re going to die”. I was killing myself. By now, I’ve heard it all. Are we supposed to eat frequently? I find both of these men very inspirational. Through Fasting, I have found out a lot about myself. I can actually feel my body healing. I can feel my health getting better. My medical tests confirm that my body is healing and getting better. I attribute these improvements to fasting. I can see no other changes I have made that would have these positive effects on my health. So, do you fear fasting? I used to fear that I could not do it, I never thought I could fast even one day. But, actually, I find it quite easy! Little hunger is involved at all. No real cravings. So, do I fear fasting? Do I think that it is going to kill me? No way. It is not going to hurt me at all, in fact, it is helping me get better! So how did I do in my first 4 weeks of IF? Well, as of today it is 1 month since I started doing Intermittent Fasting. I lost 16 pounds in the past 4 weeks! As I have said, doing the fasting was not really about losing weight, it was about controlling diabetes. That said, I am certainly very happy with the results! Losing 16 pounds in 28 days is, in my view, a great accomplishment! To be honest, I feel great. I have a ton of energy! I am never hungry… well, maybe a little hungry from time to time, but it passes quickly. When I first started Intermittent Fasting, I had a 5-hour eating window, between 2 PM and 7 PM every day. From 7 PM until 2 PM the next day I did not eat. However, I was enjoying the fasting so much, and not feeling hungry that a couple weeks ago I changed my fasting times. Instead of a 5-hour eating window each day, I now have only a 1-hour eating window each day. So, now, I am eating between 6 PM and 7 PM daily, and I am fasting from 7 PM until 6 PM the next day! I am fasting 23 hours per day and just eating dinner each day. I have never felt like “cheating” or eating at times when I was not supposed to eat. Every diet that I have ever tried in the past would always cause me to want to cheat! Not this time, though. As I have said before, this is not really a “diet” as in “being on a diet”. This is my new lifestyle, which I believe will continue forward for the long run. I enjoy the short eating window. It gives me extra time during the day. It makes me think less about food and eating and enables me to focus on other things that are far more important. I had heard in the past about Intermittent Fasting, but I really did not think I could do it. I am amazed at how easy it is! What do I consume while Fasting? Recently, a lot of people have been asking me what I consume while fasting. Apparently, there is confusion primarily because I was first doing intermittent fasting where I would eat one meal (sometimes two) per day. Because of this, now when I say I am fasting, most people automatically assume that I continue to eat part of the day. That is not the case, though. If I am doing some eating, I call that “Intermittent Fasting”. If I am not eating anything, I call that Fasting, or long-term fasting. I also people call a long-term fast a “Block Fast”. So, if I am “Fasting” I am not eating, only drinking various things. If I say I am doing “Intermittent Fasting” that means that I fast most of the day, but do a bit of eating too. Most of the time when I am doing Intermittent Fasting, I am doing the 23/1 model. I fast for 23 hours of the day, and I eat one meal, giving myself one hour to eat that meal. When I am following this model, I always follow a ketogenic diet in what I eat. This means that I eat very low carbs (usually I eat ZERO carbs, except carbs in veggies). I eat high fat, things like full cream milk, or cream. Also, I eat salads with plenty of high fat, healthy oil salad dressing on them. I eat moderate amounts of protein. The proteins I eat are meats, eggs, cheese and that kind of thing. Last night (at the time of this writing, not publication time) for dinner I ate a green salad with tomatoes, with Italian Salad dressing, and all of this was inside a “wrap” made with eggs (kind of like an omelet). Oh, the salad also had some grilled chicken in it. Under a ketogenic eating plan, this is a very healthy meal. During times of both Intermittent Fasting and longer-term fasting, I mix up the liquids that I take in. Some of the things that I consume are below. This is a type of “hot chocolate” in the Philippines, where I live. Heart health benefits since I am a heart attack survivor. On an average day, I usually drink about 2 cups of tsokolate whether I am fasting or not. I find that tsokolate makes me feel full for at least about 4 hours or so. There are some carbs in any kind of chocolate, but I calculated it all out and the net carbs in a cup of tsokolate is less than 5 carbs, so two cups per day would be less than 10 carbs. I find that perfectly acceptable, even when fasting. Usually, I drink one cup of coffee in the morning. I use a small amount of artificial sweetener in my coffee, and I also use “hwc” or heavy whipping cream in my coffee. One cup only most of the time, but from time to time I will drink two cups. Usually, if I drink more than one cup, that also means that I drink less tsokolate that day as well. Of course, I also drink water. We don’t drink many diet drinks at all. I’m not opposed to drinking such drinks in moderation, though. I will have an occasional diet Coke or something of that sort. We don’t keep such drinks in the house, but if I am at a restaurant for a meeting or something, though, I don’t hesitate to order a diet coke. I get a lot of questions about bulletproof coffee. People ask me if it is acceptable to drink BPC while fasting. Well, first let me explain to those who don’t know, what BPC is. BPC is coffee into which you also put one tablespoon of butter, and one tablespoon of coconut oil. It is very commonly taken in the Keto/Low Carb community. Also, a lot of people into things like tech and such use BPC because it clears the brain and allows for very good thinking. So, is it acceptable to drink BPC while fasting? Well, in my view, fasting is a very personal thing, and only you can decide what is acceptable. I follow Dr. Jason Fung online. Dr. Fung is, in my view, the world’s leading expert when it comes to medical fasting. If you watch his videos, he often says that you should be flexible in your fasting. If there is a social occasion that involves eating, you should not close yourself off from your friends, eat! Start fasting again after that meal. He says that taking in things like BPC is acceptable if that is what you want to do. For me, I feel that using BPC is fine, but I also say that is my own decision and you should follow what you like to do. One thing I will say is that I found that when I first started fasting (intermittent), BPC really did help me make it. If I drink a cup of BPC, it makes me feel full for 4 to 5 hours. Now, I rarely drink BPC though. I just don’t need it anymore. Also, in most cases, when I was using bulletproof, it was not coffee. Instead, I would combine what I mentioned earlier.. tsokolate, combined with the bulletproof recipe. I would put coconut oil and butter into my tsokolate. So, now you have an idea what I consume while fasting, and how I mix up Intermittent Fasting with Longer term fasting. I fast for various lengths of time. In the beginning, I started doing Intermittent Fasting. I started fasting 16 hours per day and eating 8 hours per day. Generally, I would fast from 8 PM until 12 Noon the next day and would eat during my window of Noon until 8 PM. It was so easy, I kept extending my fasting window and decreasing my feasting window. Within about 2 weeks I got to the point where I was fasting 23 hours each day and eating one meal in a 1-hour window daily. It was still very easy. When I started on extended fasting, I went right into it and did a 10 day fast! I found it fairly easy to do, even if it was my first attempt at extended fasting. Okay, so yesterday I told you that I was just completing my seventh day of an extended fast, and I also told you that today I would tell you the number of days that I am hoping to fast this time around. When I started this fast, I did it with an open mind, with no goal in mind at all. However, I’m so excited about the healing that I’m seeing in my body right now, through autophagy, that I have made the decision to go for my longest fast yet. Previously, the longest I have ever fasted was 20 days. For this fast, I am hoping to make it for 30 days. Yes, one month of fasting. 30 solid days. No food. I drink water, and coffee, nothing else. It is my belief that I can do it for 30 days, however, as I mentioned yesterday, if I don’t make it for 30 days, I don’t consider that a failure. I have already successfully done a long-term fast even if I stop today. But, I don’t believe I will be stopping today, or any time soon. Why would you fast for so long? A lot of my friends and acquaintances are upset when I fast for longer periods. Many are upset even if I fast for a few days, which is really nothing to me. The reason that I want to extend this fast is so that I can see further health benefits through the process of autophagy. Long fasting also reinforces the work that I did last year in eliminating diabetes for my body. Type II diabetes is due to insulin resistance, and hyperinsulinemia. The longer that I can keep my insulin level very low, which is kept at its lowest through fasting, the more that I can reinforce the fact that I no longer have diabetes. I’m teaching my body to use insulin properly instead of continually producing more and more insulin, which leads to weight gain, and more type II diabetes. So, I’m not just fasting, and extending my fasting, to reach some mythical goal, to do more days than I’ve ever done before. I am doing it with healing in mind. Yes, there is a sense of accomplishment if I can extend my previous best, but that is not what it is all about. It is about healing and improving my health. I can see so many health improvements since I first started fasting in February 2017. Wish me luck, and give me a little bit of moral support on this if you feel you can. Having other people pulling for you and helping you through their kind words is something that makes it easier to accomplish a goal like this. I started my recent fast on May 16 and it was scheduled to end this Friday at 6 PM. However, things took a turn yesterday. Actually, perhaps I should say things started taking a turn about three days ago. A few days ago I started feeling different. At times I would get very sleepy during the day. This happened multiple times per day and I would usually go take a nap for a while and I would feel fine after that. I didn’t feel weak or anything like that, which is what most people would suspect while fasting (although I find that to be a myth). No, I didn’t feel weak, just sleepy. One very common problem while fasting is that it is difficult to sleep. This has always been a problem for me since I started fasting. Generally, during my fasting, I will only get around two hours of sleep per night. If I am doing a five or 10 day fast, I find that to be fine. However, while doing a 30 day fast, I think that my body just ran out of steam because it was not getting enough rest. I believe that the reason that I was feeling poorly and had to quit my fast because I had gone so long with so little sleep. Of course, I cannot be sure, but I feel rather certain about this. When I do a long-term fast, I am in contact with my doctor and talk to him about any kind of problems and I’m experiencing. I am always free to go into his office for him to check things out. In this case, over the last few days of the fast, before I quit, I was having things checked regularly. There were some bad signs, and that is really what caused me to decide to stop the fast. Starting about three or four days ago my heart began beating very fast. My normal pulse rate is between 70 and 80 per minute. However, as I got well into this fast, probably around day 23 and onward, my pulse was up to a low of 95, and sometimes over 100. Since I just had bypass surgery about 20 months ago, you can imagine that my doctor was watching this very closely. During the same period, starting around day 23, my blood pressure shot up as well. During fasting, my blood pressure usually goes down to a very low level, around 110/70 or so. That happened up until about day 23 when my blood pressure went as high as 145/85, which is very high for me. Based on these two things alone, my doctor recommended that I should stop fasting for a few days. I thought about it, and I decided that since I only had two days left, why would I take the risk. The reason that I do fasting is for my health, why put my health in danger just to go after some mythical number? I mean it is only a number of days, which is really meaningless. So, last night, Wednesday night, I ate a nice salad topped with roasted chicken. It really did taste good, I must say. On my salad last night, I was using a vinegar and oil based Italian dressing. This is a salad dressing that I really like, it is my most frequent choice when it comes to salad dressing. I have never had any problems with this salad dressing. However, last night, when I started eating it, it really burned inside my mouth, I felt like my mouth was on fire. I can only imagine that this is because it had been so long since I had eaten anything. In fact, it was so bad that when I was halfway through the salad I asked my niece to save the rest for me, and I ate the other half a few hours later. I just could not eat anymore as my mouth was so painful. Over the term of my 28 days of fasting, I dropped 27 pounds, just about 1 pound per day. Funny thing is, at the time that I started feeling poorly, the same time that my heart rate increased as well as my blood pressure, I stopped losing weight. So for the last several days in the fast, I lost nothing. I can’t really say how that is related to the health issues, but I find it interesting. 27 pounds down in 28 days? I find that to be quite a success. I will be eating for the next few days. Of course, when I eat I eat a ketogenic diet – low-carb, high-fat. After dinner on Sunday night, I will begin fasting again. However, I don’t really see any big reason to go for a super extended fast again, at least not right away. Starting on Sunday night, it is my thinking right now that I will go for a five day fast, which means that I will eat again at dinnertime on Friday. That is a good fast, and last year when I did an extended period of five-day fasts, I lost a lot of weight. I think five days will be fine again. Well, the things that happened toward the end of my fast surprised me greatly. I never would’ve expected my pulse and my blood pressure to increase like that while fasting, normally those things move in the other direction while fasting. I did some research on the Internet, though, and found several web pages where people doing long-term fasts described the exact same things that I experienced. In most cases that I found, they were advised that they had an issue with electrolytes, and perhaps that was my problem as well. I may try another long-term fast, as long as 30 days, in the future, but that will be down the road. I hope that this report was beneficial to others doing fasting. If you are fasting, to the best of luck. Truth is, that you don’t feel hungry very often while fasting. The hunger you do feel is relatively minor, and happens only the first couple of days, at least in my experience. When I tell this to people, I can tell that the vast majority of the people that I tell this to are either very skeptical or they just don’t believe me at all. Some people have come right out and told me that I am lying. Have you ever tried fasting? Funny thing is, the people who ask me that question are people that have never fasted, or only fasted for a short time years ago. On the other hand, if I talk to people who do fast on a regular basis, or watch their videos on YouTube, read what they write, etc., they ALL say the same thing that I experience, that hunger is not a big issue. So, when people that have all done extended fasting say that hunger is not a problem and people who have never done long-term fasting say that hunger would be terrible… who are you going to believe? For me, the answer is simple! A lot of people that I meet or run into, also people who read this website tell me the same thing: Fasting is extreme. “Bob, you going to kill yourself by fasting”. Take a look at the photo above. Which version of me was closer to dying? Really, well I guess I am stupid then (not). Yep, I am a wild & crazy guy, I admit it! One funny thing is that a lot of people who have told me that fasting is extreme have, after seeing how it has worked for me, gone on to start fasting themselves! 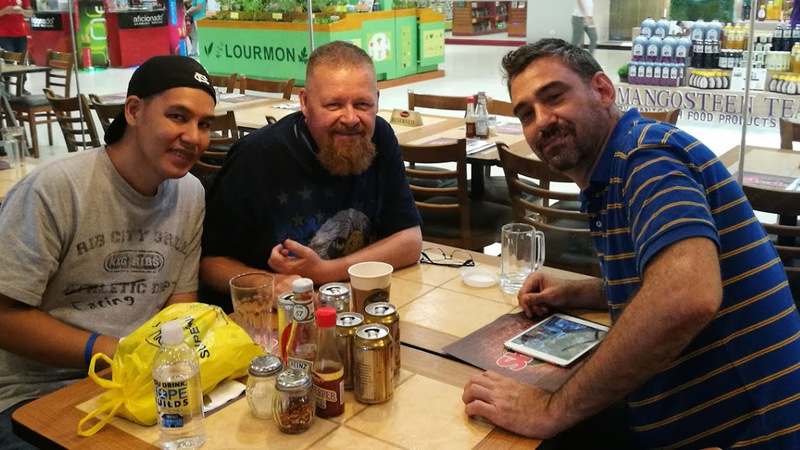 Sometimes when I run into them, and they tell me “I’m fasting now, and loving it!” I will look at them and say “I thought fasting is extreme?” They laugh when I say that. So, think about this. Starting in my 30s I have been taking a lot of maintenance drugs. Blood pressure medication. Diabetes medication. After I had a stroke in 2001, I needed medication for that. Yep, I kept on putting all of those chemicals in my body over the years. I bet the pharmaceutical companies loved me! They made a lot of money from me. Oh yeah, I had a heart attack in 2016, and then a quadruple heart bypass the same year. Guess what? More drugs (chemicals) would keep me alive, or so they told me. Is it extreme to put chemicals in your body? But, is putting chemicals in your body extreme? I would say that it is. Even though “fasting is extreme”, I started fasting in February of 2017, and I started experiencing a lot of success! My experience has been filled with success in weight loss, but fasting is extreme, right? I had success in curing diseases that I had been having for years. But, don’t forget, fasting is extreme. 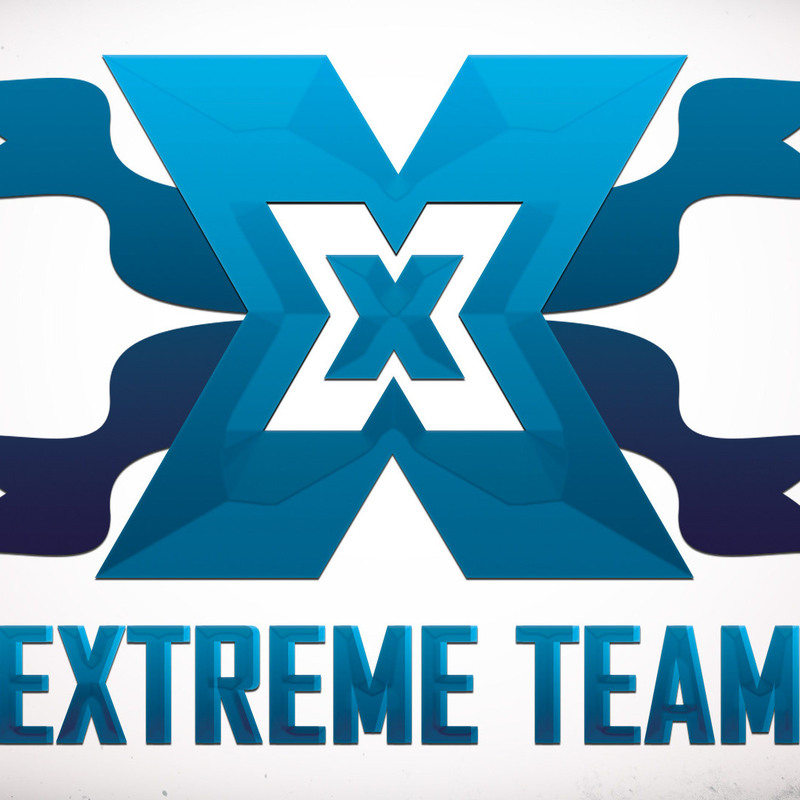 I am on the Extreme Team! The first thing that happened (other than weight loss) was that I no longer had diabetes. Even if fasting is extreme, it was doing some great things for me. Diabetes gone, scratch 3 oral medications from the list, and no more need for 100 units of insulin every day! Next, I kept losing more and more weight. I’m glad that even though fasting is extreme it was working so well for me. I started researching into statins, a new drug for me after my heart attack. I decided to stop taking statins around mid-2017. Fasting is extreme, but it sure helped me get off of statins! My blood pressure kept dropping. In fact, last year at one time I fainted because my blood pressure was too low. When that happened, my Doctor drastically lowered my BP medications. Fasting is extreme, but it lowered my blood pressure meds! Wait! A few months later I went off all Blood Pressure medications! I have not popped a pill! Fasting is extreme? Yeah, I do agree. Fasting is extremely effective! I have not taken any medication of any kind, in fact, since January 2018. It is now September, so I have not taken a single pill of any kind for 9 months already! All of my lab work is great, even with zero medication. All of my vital sign tests are great. Again, even without medication. Funny thing is, some of the people that tell me how fasting is extreme are taking handfuls of medication every single day. If everybody does it daily, is that extreme? Fasting can heal many diseases and disorders, much of the healing is through autophagy. Fasting is very natural. One thing that Dr. Jason Fung always says, and I agree, is that fasting is a normal part of life. Fasting is extreme? I think not. Think of this.. on a normal day, what is the first thing you do? You eat breakfast, right. Look at that word. Breakfast. Break-Fast. You are breaking your fast. You were fasting the past 8 to 12 hours, and by eating in the morning you broke your fast. I just like to fast longer than that, and I see no problem with that. Do you think fasting is extreme? If you think fasting is extreme, hey, nobody is going to force you to fast! Eat what you want, no problem. But, don’t tell me how fasting is extreme. I won’t tell you that being obese is extreme. I won’t tell you that it is extreme to eat that burger and a couple large orders of fries. No problem either way. 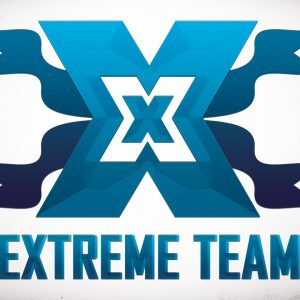 What do you think is extreme? Fasting, or my peak weight of 430 pounds? What do you think, Is Fasting Worth It? There are many extreme things in life. I don’t think fasting is extreme, though, at least not extreme in a bad way. As I said, fasting it EXTREMEly effective! I have been fasting for coming up on 2 years (not continuously!). In 2017, I fasted for around 200 days. This year, I have probably fasted around half that number so far, I guess. So, the question arises, how I feel great when I’m fasting? Most people think that if you are fasting you will feel weak. You will feel lethargic. You will be in a bad mood… hangry. Are these things correct? Well no, they are not correct. How I great feel when I’m fasting? I feel great. I feel that I am at my peak of performance and the peak of how I feel. How can you not feel weak when fasting? Food is where your energy comes from, right? Well, sort of. So, you don’t have any energy when you are fasting then, right? Well, no, that is incorrect. Our energy does come from the nutrients that our body consumes, I can’t argue with that. But, even when I am fasting for a long-term fast, my body is still getting nutrients. But, Bob, how can you be getting nutrients when you are not eating? Well, my body has stored away a lot of energy over the years, it is called fat. It is stored fat. The purpose of our bodies storing fat away is to provide our bodies with nutrients when food is not available. How do I feel when I’m fasting? I feel great when I’m fasting! Yes, I am feeling great! When your body starts consuming stored fat, that is called Ketosis. Your body is using fat as its fuel instead of sugars (and all carbohydrates that turn into sugars when you eat them). When your body is in a ketogenic state it is burning a far more efficient fuel, and burning cleaner. That is why I feel great when I’m fasting. Am I weak when I’m Fasting? No, not at all. In fact, I have a lot more energy when I’m fasting. You see, I have a lot of stored fat (still) that my body can consume as it wishes, so I am not hungry, and I am not weak. In fact, the more fat my body consumes, the happier I am going to be when I step on the scale the next time. Think about it this way. The common thinking is that when you eat plenty of food you have a spike of energy. Are you sure about that? Every year on Thanksgiving, Americans have a huge spread of food. I mean HUGE. After eating the Thanksgiving meal, how many of you go out for a jog to burn off all of that excess energy? Well, it is far more likely that you go lay down on the couch and rest, isn’t it? But, I feel great when I’m fasting. In fact, while fasting I go walking, sometimes up to 10 miles per day. I’ve even gone running, even though I am still building up to that. I lift weights while fasting. I do lots of physical things even when I am many days into a fast. Yes, I feel great when I’m fasting. Lethargic? Haha, nope, I never feel lethargic when I am fasting. I feel great when I am fasting. If you don’t believe me, give it a try. But make sure you have adapted your body to efficiently burning fat and getting its energy from fat before you judge how you feel when you are fasting. I know that I feel great when I’m fasting. Let me know how you feel! How Much Weight can you lose while Fasting? So, just how much weight should you expect to lose while fasting? I hear that question from a fair number of people, so I although it will be a short article, I thought I’d answer that question today. According to Dr. Jason Fung, whom I consider to be the world’s leading expert about fasting for medical purposes, you should lose about a half pound of fat per day while fasting. A lot of people think the weight loss will be a lot more than that, but I find that number to be fairly accurate. Weight loss that you will sustain is usually about half of a pound per day. Sometimes I lose significantly more than that in a day, sometimes I even gain a little while fasting. The difference, I believe, is the water fluctuations in your body. 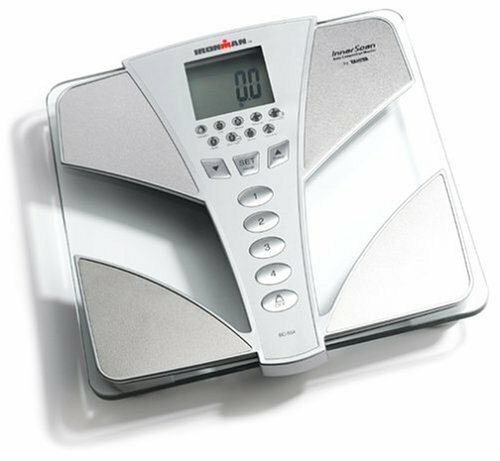 With my Tanita Body Composition Monitor I can see the daily fluctuations in water in my body, and the more water you retain, the more your weight will be, of course. Having water in your body is not a bad thing… in fact, if all of your water was gone you’d be dead, so don’t worry about it! Just keep in mind that if you gained a little weight one day, that does not necessarily mean you have more fat! When you fast, you will usually lose significant weight after the first day, and a fair amount after the second day. But when you are fasting, your body generally releases a fair amount of water, which means you lose more on the first couple of days. For example, in my current fast, I lost 3 pounds after day 1. However, you should expect that after you start eating again, that water loss will return. So, for example, let’s say that you fast for 10 days, and your total weight loss is 10 pounds. That is 1 pound per day! But, after you eat for a couple days, you will probably gain back 4 or 5 pounds, which is all water. So, your actual fat weight loss at the end will be more like 5 or 6 pounds, or, as Dr. Fung says, about a half pound of fat loss per day. I would say that over the past, I have probably lost slightly more than a half pound per day while fasting, but less than a pound per day. Not significantly more, but maybe .6 pounds per day instead of .5. Perhaps the reason is that I had so much weight to lose, I can’t say. Overall, though, I would say that Dr. Fung’s estimate of weight loss is pretty accurate, and it is what you should expect. Don’t get discouraged when you gain back that water weight after the fast is over, that is just natural. But, is Fasting worth it? A lot of people tell me that “fasting is not worth it”. “It is too extreme”. “It is not healthy”. Truth is, I find fasting to be very easy. Cutting calories, but still eating, is, in my opinion (at least for me) very much harder to do. I have done low-calorie diets so many times in my life and never had success. I started fasting in February 2017 and the results have been fantastic. Based on the changes, do you think it was worth it? A bit of a change, don’t you think? 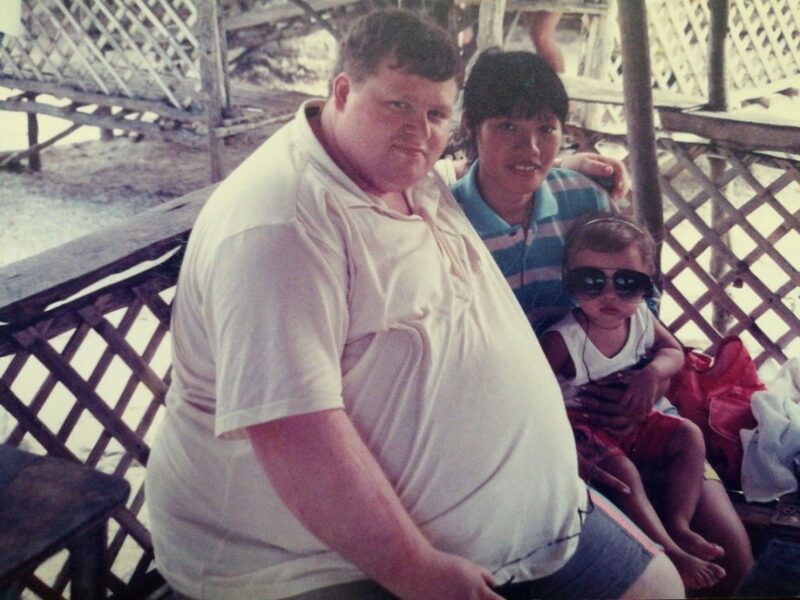 The old me was 430 pounds. The new me, right now, is 230 pounds. 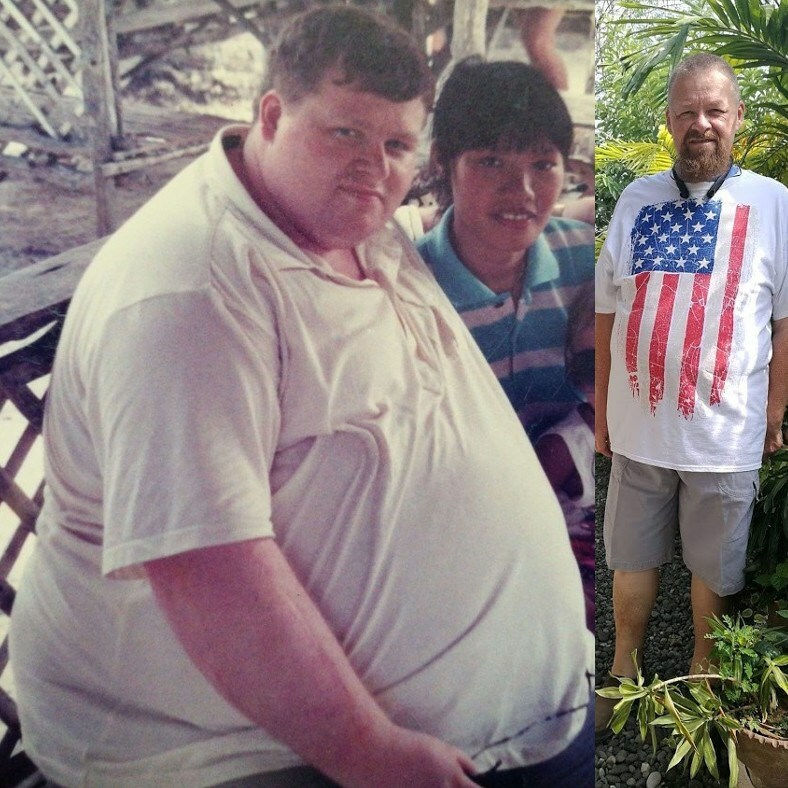 Weight loss of more than 230 lb! I can’t believe it. I am shocked that I have lost this weight without it being very difficult at all. Low-carb during the days that I eat. I usually eat 1 day a week (1 or 2 meals and only low carb). I fast the other 6 days. But like people tell me… fasting is not healthy!